4 Who Are the GEDs? Part V. What Can Be Done to Promote Character? 10 What Should Be Done? "Remarkable. A display of technical virtuosity in the service of an ambitious agenda: restoring character to the heart of US education policy. 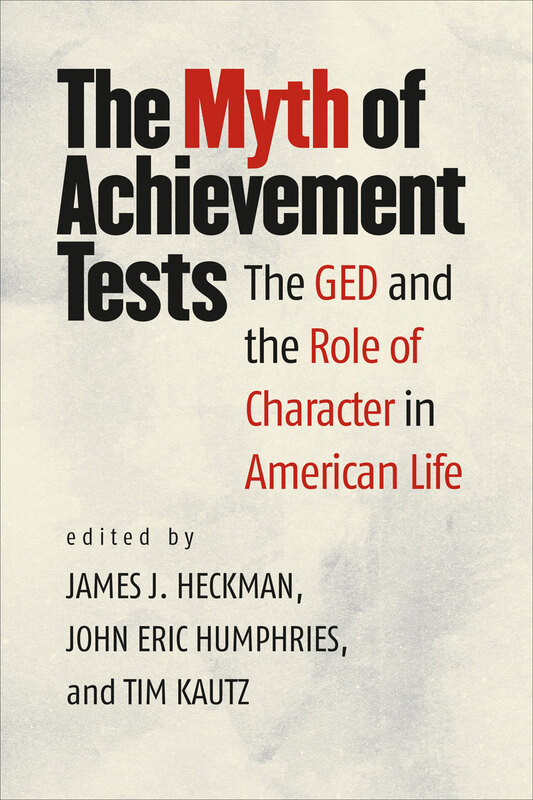 Analyzing the ‘natural experiment’ of the GED program, Heckman and his team show that it is lack of character, rather than lack of academic skill, that hobbles life chances today. Everybody interested in education, social mobility, and inequality has to read this book: anyone interested in the future of America ought to." "For decades, the creators of the GED program have promoted it as a second chance for high school dropouts. . . . As promising as that sounds, the GED program is actually failing many of the students it purports to help, argues The Myth of Achievement Tests. . . . While the authors are quick to note that some have benefited from the test, they contend the GED alone isn’t enough. Although those taking the test score roughly the same as high school graduates who didn’t go on to college, many lack what are referred to as ’character skills,’ such as persistence, motivation and reliability."